Homophobia as part of traditional culture? One problem with recent English-language coverage of homophobia in Russia is the tendency to attribute anti-LGBT violence simply to “traditional attitudes,” which in the first place reinforces the religious-nationalists’ own claim to tradition and authentic Russian identity. “Tradition” is, of course, not a fact but an argument for legitimacy, one which is made from moment to moment. We establish certain practices or ideas or objects as part of “tradition” by saying so, more or less. 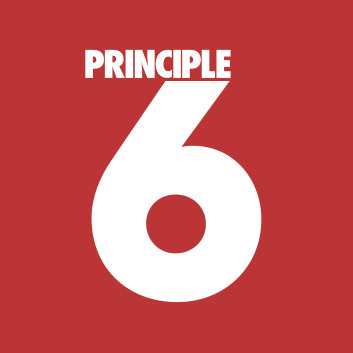 The more people repeat the idea, take it up on their own, teach it to their children or place it in museums, the more that claim is successful . But it never stops being a claim, and it’s always (at least potentially) up for debate. So in the first place, journalists are not obligated to pass along the claim that homophobia is part of “traditional” Russian culture. How should the government and society react to non-traditional [that word again!] sexual orientation? The top line (“It should be a criminal offense, including imprisonment”) was in decline from 2005 (23%) to 2007 (19%), until it shot up to 42% support in 2013. Interestingly, in 2005 the most popular answer (34%) was “The government and society shouldn’t get involved in it, this is a personal matter for each individual.” But by 2013, only 15% of respondents thought homosexuality was a private matter. It’s a complex issue, and clearly there’s a lot going on here. But interpreting negative attitudes toward LGBT people as an expression of Russian “tradition” doesn’t really fly. Hobsbawm and Ranger’s 1983 The Invention of Tradition is of course the classic text on this subject. This post last week by NYTimes columnist Frank Bruni didn’t get a lot of traction, but it caught my attention because it illustrates an approach to protest that is fairly widespread. Last week, Buzzfeed published a set of photos from a St. Petersburg LGBT march that was, like most LGBT street actions right now, set upon by nationalist groups and ended in violence and arrests. I ran across it after a couple of friends (who don’t have any particular connection to Russia) posted it on Facebook. I’ve been glad to see that this area of conflict has been getting some coverage outside Russia, even reaching people who aren’t in general tuned into Russian current events. 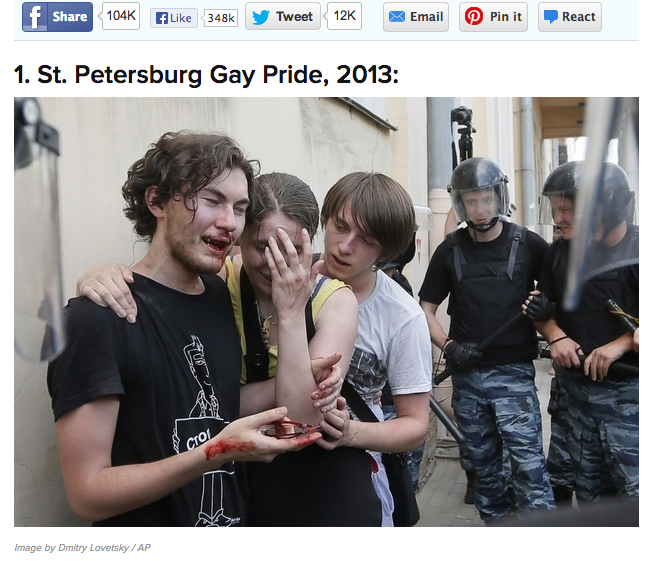 All the same, the photos and their presentation followed a very common pattern in coverage of LGBT issues in Russia. 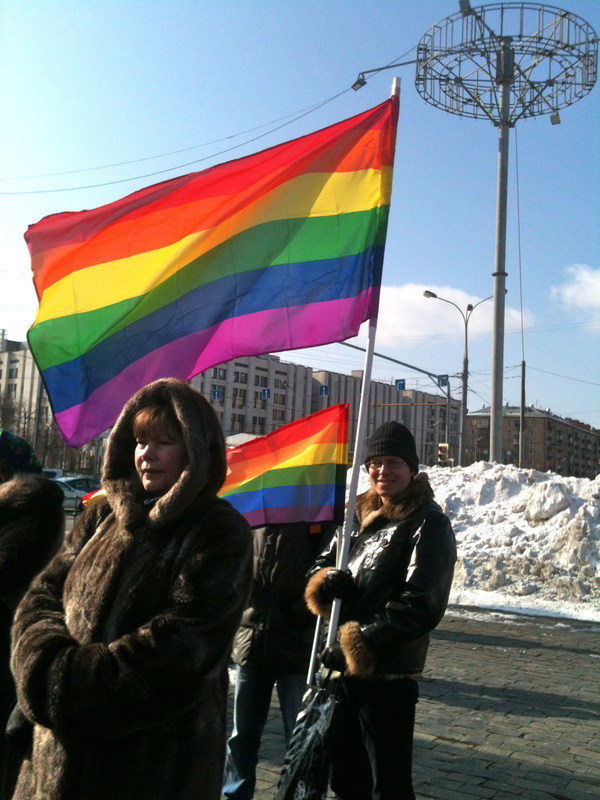 Sometimes people ask me about the issue of gay rights or the situation of LGBT people in Russia. This is not an area of expertise for me (yet?! ), but I thought this might be a good day to say a few words on the subject for anyone who’s curious but knows even less than I do. 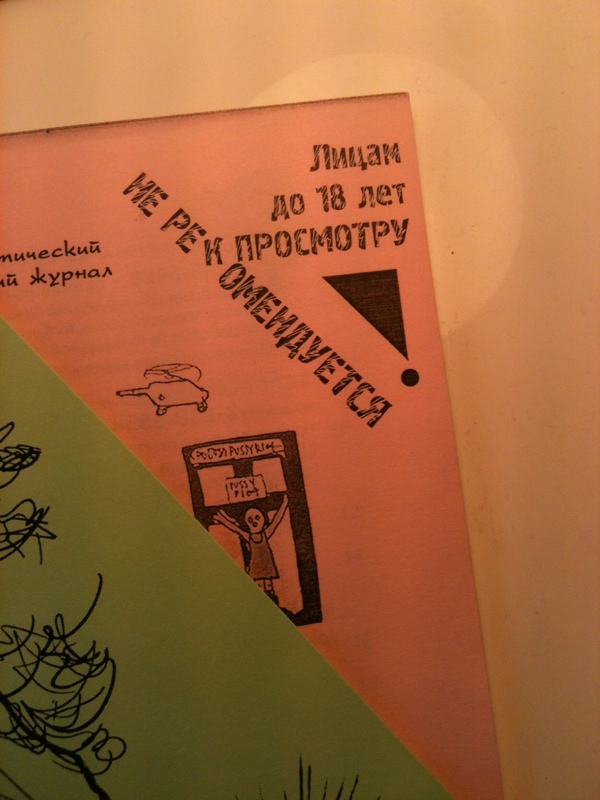 Today a new law goes into effect in St. Petersburg, outlawing “homosexual propaganda” among minors. 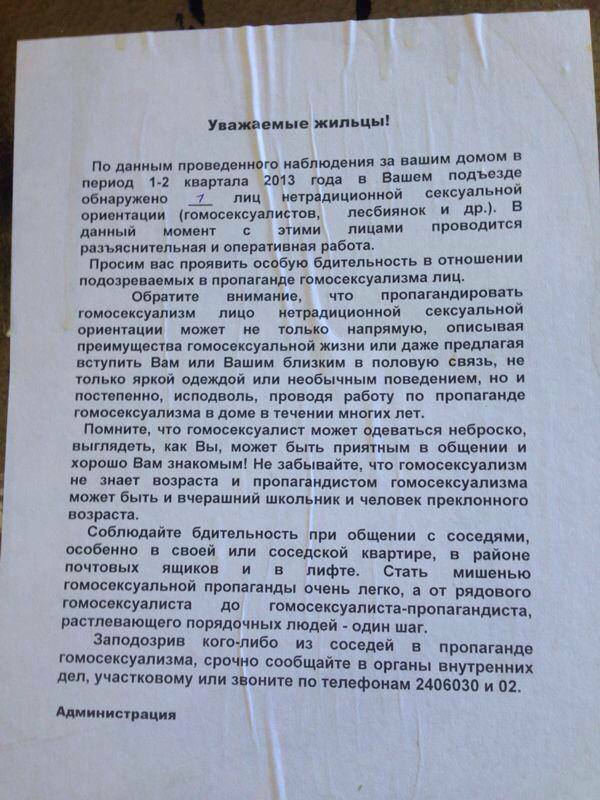 Anyone who disseminates information promoting homosexuality may be subject to a fine: 5000 rubles for an individual (about $170), 50 000 for a business (about $1,700). The law itself explains that this information is harmful to the “health and moral and spiritual development of minors” who might develop misconceptions about the equivalence of homosexual and “traditional” marital relationships. In other words, homosexuality is abnormal, and giving information about it to young people threatens their physical, moral, and spiritual health. A similar law is under consideration in the Duma (one house of the federal legislature).